Since joining Belfast Community Gospel Choir, I've struggled to find footwear to wear on a long concert night. We're usually at a venue a couple of hours before a gig starts for a sound check so usually BEFORE the concert starts, my feet are sore! I guess I could wear flat shoes but l like to wear a heel as it looks so much smarter. Ok, so they're not super trendy but I know a lot of my readers need something comfortable for work that doesn't look like a granny shoe. And here I am on Saturday night, ready for a gig. Wearing a Warehouse plain jersey faux-wrap dress I bought years ago. It's a brilliant dress (when worn with the right support underneath - unforgivable otherwise!) as it's not too tight and restrictive and not too warm - it's hard to keep cool singing your heart out under the lights! Now I'll be honest and say that my feet do still hurt at the end of a concert - any heel worn for 4 or 5 hours straight will hurt in my experience but these shoes, used with some sole pads have been the most successful heels I've worn at a concert to date and with 2 more concerts in the next 2 weeks, they're earning their keep! I think they look lovely and perfect for the job in hand! I would love to hear you sing ... perhaps in March? 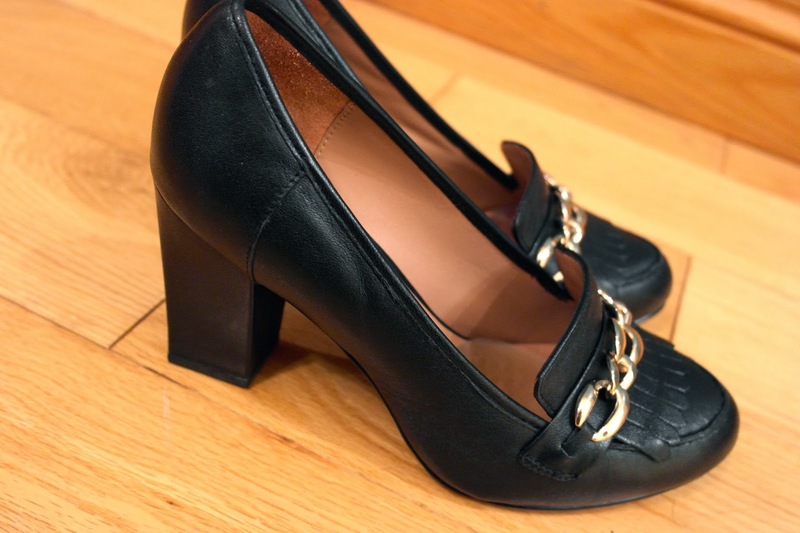 Finding heels that are both comfortable and stylish is like trying to find the holy grail. Avril you look stunning in the photo. Loved the honesty of the post and they are nice shoes and perfect for the situations. Quite like them - am aiming towards comfy heels at the moment as an alternative to flats - I never feel quite myself in flats if I'm honest. Amazing photo of you Avril, your hair looks gorgeous too!! Comfy shoes are hard to find I usually go for a wedge when in need of comfort, but you've done well here- the loafer is bang on trend too!! Hey, they're not so bad! In fact when paired with opaques and your black dress, they look more than presentable ... or maybe that's because that is quite simply one of the most gorgeous photos of you that I've seen!! 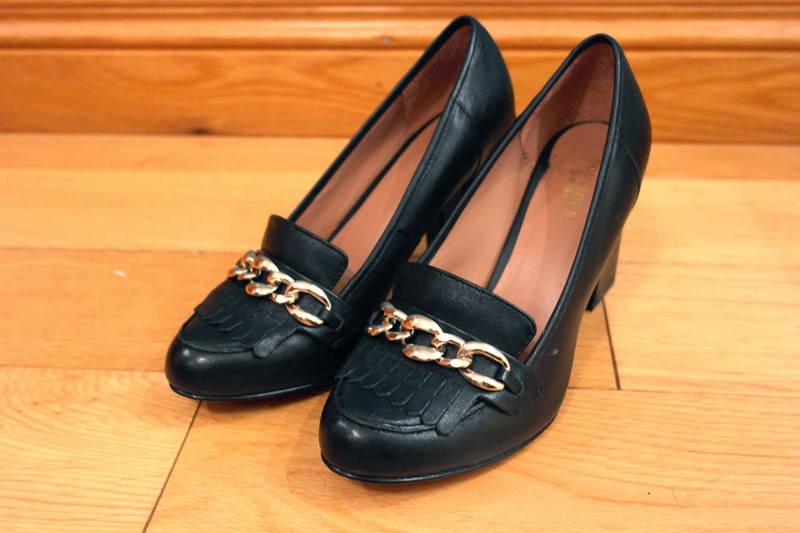 Hi, would you be interested in doing something in your blog onBegg Shoes?